As spring, you know it's time to make sure you've got the right air conditioning to keep you cool through the summer months. If you've got central air conditioning, your system will run better with a tuneup by your HVAC company. If you've moved recently or know last summer wasn't comfortable, it might be time to research the different types of air conditioners you can buy. The different types of air conditioners available. For those thinking about adding central air conditioning to their home, skip over to How to Buy a Central Air Conditioner. How big an air conditioner you need based on the room(s) you want to cool. The convenience features to consider when buying an air conditioner, like remote control. The window air conditioner was the first affordable air conditioner, with more than one million sold in 1953. In the 1970s, a new type of air conditioner started to eclipse window air conditioners. Central air with a condenser, coils, and a fan that distributed cool air through a home's ventilation system. These systems used Freon as the refrigerant, which is now being phased out because of it's affect on the atmosphere (read The R-22 Freon Pricing Story Not Being Told). So for those who don't have central air conditioning, here are the different types of air conditioners available today. 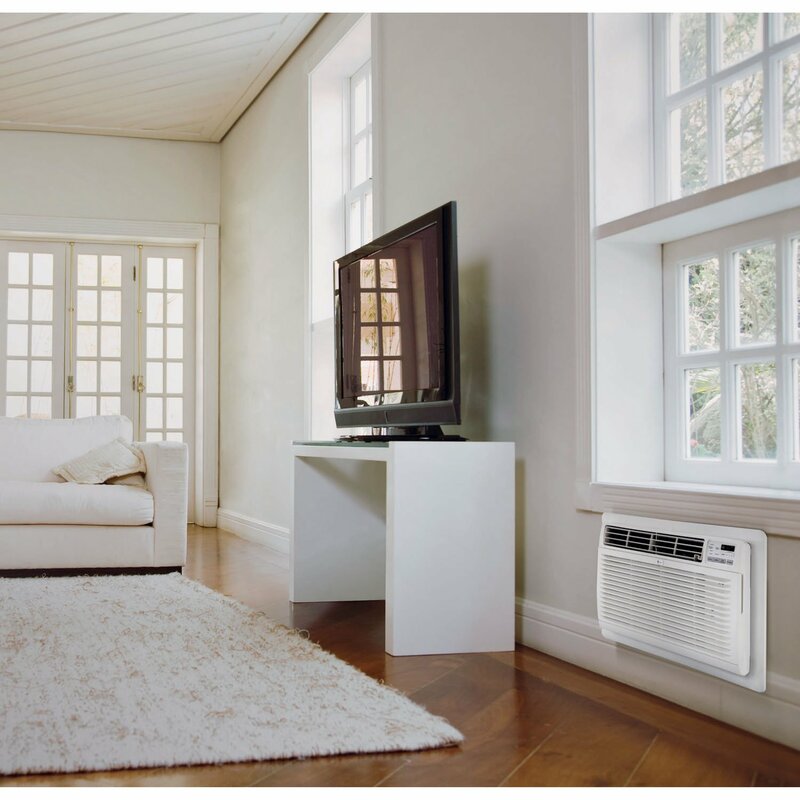 Window air conditioners (photo on the left) are popular because homeowners can install them. They're easiest to install in double hung windows that use the top window to hold the unit in place (here's a video). Don't despair because it's also possible to install window air conditioners in sliding windows (here's a slider install video). When shopping for a window air conditioner, make sure you know which type of window you'll be putting it in and take measurements. You should also invest in a bracket for extra support and peace of mind. Most homeowners install their window air conditioners during the cooling season, and store it indoors through the winter months. Some people like the fact that a window air conditioner doesn't take up space in the room. Others don't like that they block your view so you'll want to take this into account when picking which window to use. Wall air conditioners (center photo above) are similar to window air conditioners. The benefit is you don't loose your view or sunlight because they're installed in the wall. While some window air conditioners can be installed through a wall, wall units cannot be installed in a window. Installing a wall air conditioner is more challenging than installing a window air conditioner. It requires opening up your wall, adding structural support and finishing the interior and exterior walls once the unit is installed. If you don't have the tools and experience using them, you might want to call your handyman. We did lots of these installations so watch this video showing how April Wilkerson installed a wall air conditioner in her shop. 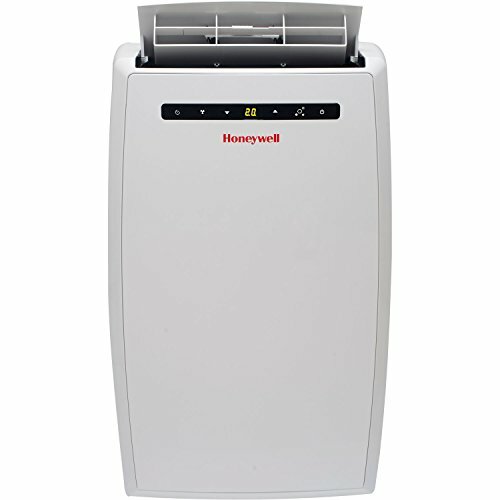 The portable air conditioner is the simplest to install but it's not as energy efficient as the window or wall units. If you need to cool several rooms and can't afford to buy multiple air conditioners, this might be the perfect solution for you. When I saw this installation video from DeLonghi, I realized you should buy a brand that includes the install kit. Every air conditioner needs a way to exhaust hot air so if you plan to use a portable unit in several rooms, make sure you also buy extra window installation kits. How Big an Air Conditioner Do You Need? Once you understand the types of air conditioners available and the type of unit you want to buy, it's time to determine how big a unit you need. Big refers to how much space you can cool, measured in British Thermal Units (BTUs). There are several factors to consider when sizing your air conditioner. Room size using the table below. You have to consider the entire space with an open floor plan. With smaller rooms, you should also consider how likely you are to keep doors closed between rooms. Ceiling height as the table assumes 8 foot ceilings. Higher ceilings require slightly more cooling capacity because they contain more cubic feet of air. For example, a room that's 10 ft wide x 10 ft long x 8 ft high = 800 cubic feet. If that room has 10 foot ceilings, there are 1,000 cubic feet (here's a simple calculator for cubic feet). Natural sunlight should also be considered. Rooms getting a large amount of sunlight need about 10% more BTUs while rooms with little/no sunlight can be cooled with slightly fewer BTUs. Number of people in the room can also affect how much cooling capacity. If the room has more than two people, it's recommended you add 600 BTUs for each extra person. It's important to calculate your BTUs to avoid problems. Too few BTUs might mean a room isn't comfortable. Too many BTUs will cause the air conditioner to turn on and off too frequently, lowering it's operating efficiency and lifetime. Over the years many new features have been developed to enhance these air conditioning units. Here's a quick summary of to help you identify the ones you want to look for when buying one. Remote controls – have been added to many units so you can activate them from across the room. Timers – are one of my favorite features, so you can set your air conditioner to turn on before you get home from work. Filters – are now available on some units to remove allergens and odors. Noise levels – are important so if you're at the store, try to listen to the unit before you buy it. If not, make sure to listen after installed and consider cost to return if too loud. Air flow – helps us feel cooler so the ability to adjust louvers can be helpful. Some models even have motorized louvers to blow cold air around the room. Most models have the ability to switch from fresh air to recirculating. Ready to buy an air conditioner? You'll find the best prices during the fall or winter, when stores want to get rid of leftover inventory. Sales occur on holiday weekends but don't wait too long, as air conditioners disappear after the first hot spell. Have You Got a Furnace or a Boiler? Recently I have been thinking about getting my air conditioner looked at and wanted to look up some information about them. I really appreciated how this article talked about how it might be time to research the different types of air conditioners you can buy. I will have to keep this in mind as I look for the right service. This is good to know. Unless there is a constant breeze, I have to have some kind of air conditioning. 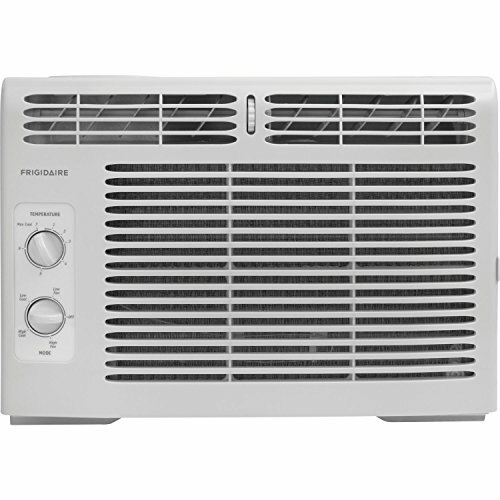 Such a good guide for people who are shopping for air conditioners, especially if it’s their first one. There are factors to consider and it’s important that the air con is perfect for the size of your room. We had to use air conditioners like these growing up and there would always be hot pockets where they wouldn’t cool. I’m so glad my Florida apt has central air. You are right I take air for granted . Probably because I have not had a portable air conditioner in a very long time. This was an interesting read. Hands up I had no idea that there was so many different types of air conditioner. I have to say I should really buy one – so this gives me more of an idea of what to look for. Sarah, Good luck finding the right one for your home. There were so many different types of air conditioners, it’s good information for me to understand when I buy one. When I was young I thought air conditioners were all the same. It’s just now when I’m living independently, that I started to learn about this so very helpful. Wow! so many! I had no idea there were so many different air conditioners so this was a helpful post. It’s ridiculous how some days and so hot, that it would be nice to have one. I had no idea there were so many different types of air conditioners. At home I don’t have AC at all because it never gets that hot in summer to require one. Joanna, You’re lucky that you don’t need an AC because they are expensive to run. Great post as we head into (hopefully) warmer weather in New England. We still haven’t needed air conditioners yet but I am sure we will soon. Athena, In New England you might find that a whole house fan that pulls cool air up from the basement is a more cost effective solution. We had window units but I didnt know that I could get a portable unit. I am going to get one for my son immediately because his room is hot even with the ceiling fan. He is going to be so happy! So glad this was helpful for you Jen. I never really believed in air conditioning until we bought a house in Arizona & there you need it … or you need to leave for at least 4 months a year. Never thought about a portable AC for parties but you’re right, if you entertain a lot then your regular AC probably doesn’t keep the room cool enough. We have mostly window air conditioners, but in our finished basement we have a portable one because the windows are too small. Thanks for pointing this out Robin, as I hadn’t thought of it & it should help other readers.